What is mass? It’s not just a Sunday ritual for Catholics, it’s also a scientific concept. Mass is the amount of matter in an object. It’s similar to “weight,” except that an object’s weight depends upon the amount of gravity present. For example, in outer space, objects are “weightless,” but they don’t lose their mass. In truth, the amount of mass just depends upon how much material makes up the object. 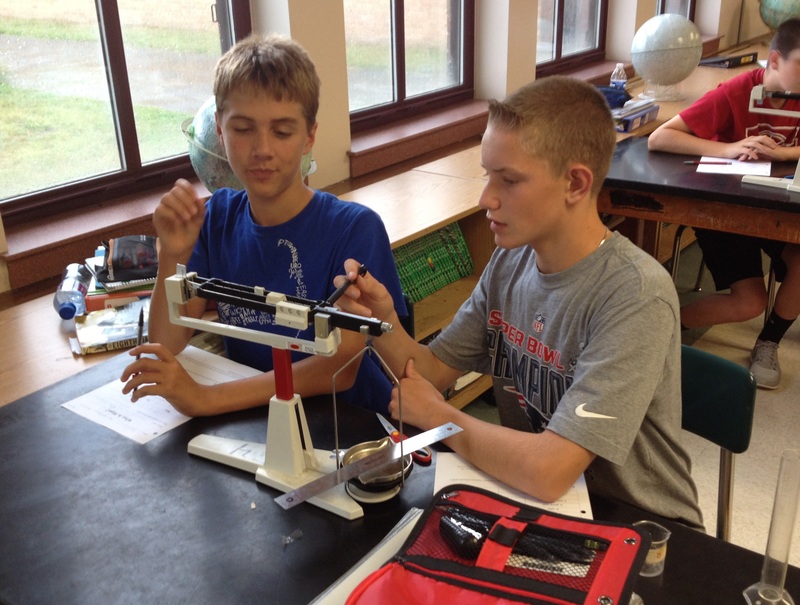 Today in class, students practiced using a scale to measure the mass of different objects. They used the unit of grams (g), the standard metric unit for mass, and then converted their answers into milligrams (mg) and kilograms (kg). Their homework tonight is to complete the Website Check — Hello everyone!!! — on the back of Page 106. Tomorrow, we will take this lesson a step further, in a much more involved experiment that proves how these basic metric units are all linked together.